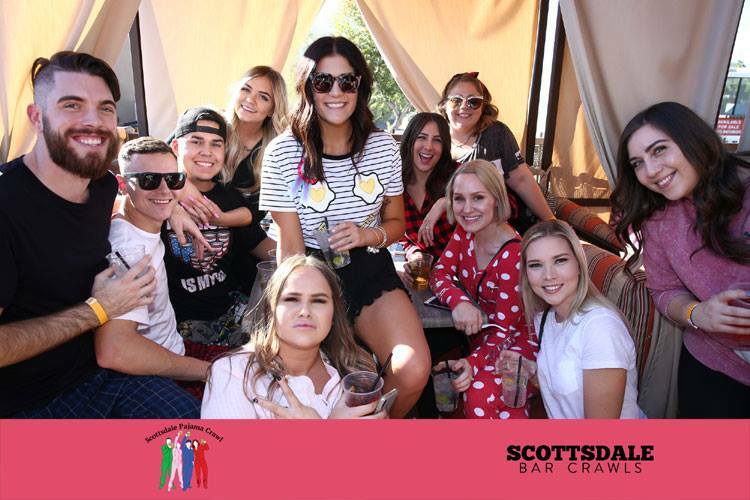 ​For one day only, you can roll right out of bed and go straight to the Scottsdale Pajama Crawl! PHOTO CONTEST: Enter to win our PHOTO CONTEST by posting pictures to Facebook or Instagram using "#ScottsdaleBarCrawls" and "#ScottsdalePajamaCrawl" Our panel of judges will go through the pictures and winners will be contacted after the crawl! 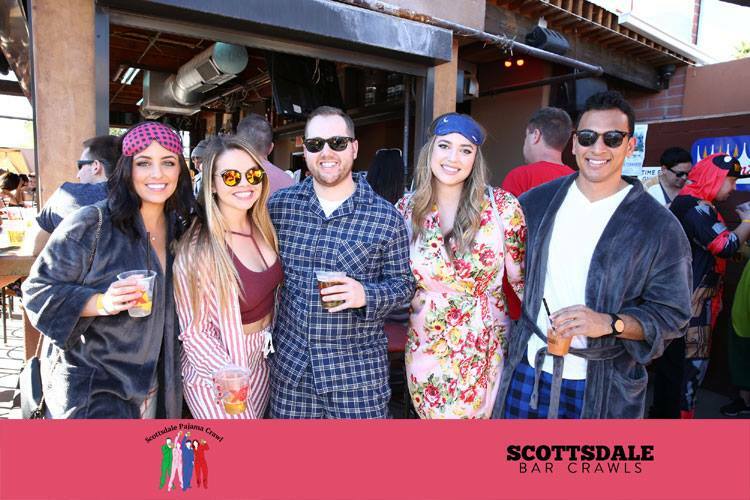 Be a Scottsdale Pajama Crawl Champ, and post a picture from every bar! WHAT'S INCLUDED: Tickets include Admission, Three Penny Drink Vouchers to Use on the Crawl & MORE! WHY: Pajamas, drinks, fun. Need we say more? delivery service. Get $7 off your next order when you sign up HERE!